Nicknamed Woz, he is often referred to as the other Steve of Apple. Wozniak and Steve Jobs, co-founded Apple Computer. Woz started his hacking making blue boxes, which are devices that bypass telephone switching mechanisms enabling users to make free long distance calls. Woz and Jobs sold these blue boxes to their classmates in college and even used a blue box to call the Pope while pretending to be Henry Kissinger. Wozniak dropped out of college and invented the compute that made him famous. Jobs had the idea to sell the computer as a fully assembled PC board. The idea was conceived and developed in Jobs garage. Wozniak and Jobs sold the first 100 of the Apple I to a local dealer for $666.66 each. Woz currently focuses on philanthropy and no longer works full time for Apple. "Wozniak 'adopted' the Los Gatos School District, providing students and teachers with hands-on teaching and donations of state-of-the-art technology equipment." Berners-Lee is credited with being the inventor of the World Wide Web. Berners-Lee has been honored with numerous recognitions incuding the Millennium Technology Prize. Berners-Lee was first caught hacking access codes with a friend while a student at Oxford University. He was then banned from the University computers. Berners-Lee realized that hypertext could be joined with the Internet. Berners-Lee recounts how he put them together: "I just had to take the hypertext idea and connect it to the TCP and DNS ideas and – ta-da! – the World Wide Web." Torvalds fathered Linux, the very popular Unix-based operating system. He calls himself "an engineer," and has said that his aspirations are simple, "I just want to have fun making the best damn operating system I can." Stallman's fame derives from the GNU Project, which he founded to develop a free operating system. For this, he's known as the father of free software. His "Serious Bio" asserts, "Non-free software keeps users divided and helpless, forbidden to share it and unable to change it. A free operating system is essential for people to be able to use computers in freedom." The Black Hat Hackers - CriminalsThese hackers are the ones that you've seen in shackles arrested for cybercrimes when they were just getting out of puberty. Some have done it for financial gain others just for fun. Fast-Track is a python based open-source project aimed at helping Penetration Testers in an effort to identify, exploit, and further penetrate a network. 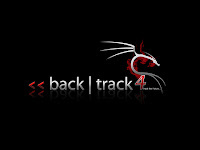 Fast-Track was originally conceived when a h4cker was on a penetration test and found that there was generally a lack of tools or automation in certain attacks that were normally extremely advanced and time consuming. The svn co simply means "check out" the latest version of Fast-Track, the /path-to-install/ is the directory you want to install Fast-Track. Follow the guide for installing Fast-Track, note that the setup does NOT install Metasploit for you. If you don't have Metasploit installed, some applications will not work properly. Ensure that you enter the right path to Metasploit. Once installation has finished, run Fast-Track, if it errors out saying you do not have the proper requirements, type yes to try a different type of install. If this still doesn't work you will need to manually install the requirements. your hardisk with name "login.htm" . or alternatively right click on the page and click "view source" and copy all of it and save them to a notepad file. Rename the file with "login.htm". Now you need to edit the "login.htm" file we saves earlier. So go to that and open it with notepad. now search for anyhtin like "action=" which has something with login. And replace the URl with "fish.php". Also create a blank txt file with name "log.txt" . This file would be used to save your logins and passwords. Just go to the site and enter the url of the site or blog followed by a "/" and it would search for all those pages it thinks to be admin pages. Quite simple. In order to crack a WEP key you must have a large number of encrypted packets to work with. This is an unavoidable requirement if you wish to be successful. The best way to get a large number of packets is to perform an ARP request re injection attack (otherwise known as attack -3). In order to do this attack and get results there must be a client already authenticated with the AP, aor connecting to the AP. When you see this (device) or (bssid) you DON’T put the ( )!!! Now before we start we need to make a txt file in the home folder. On the desktop you will see 2 icons home and system. Double click the home icon, rigt click the blank white area and select create new Txt File name it Exidous or what ever you want! click ok, now close the window. *open up 3 shell konsoles by clicking the little black box next to the start button. * Now were going to inject the router ***this sometimes takes a while to actually inject!